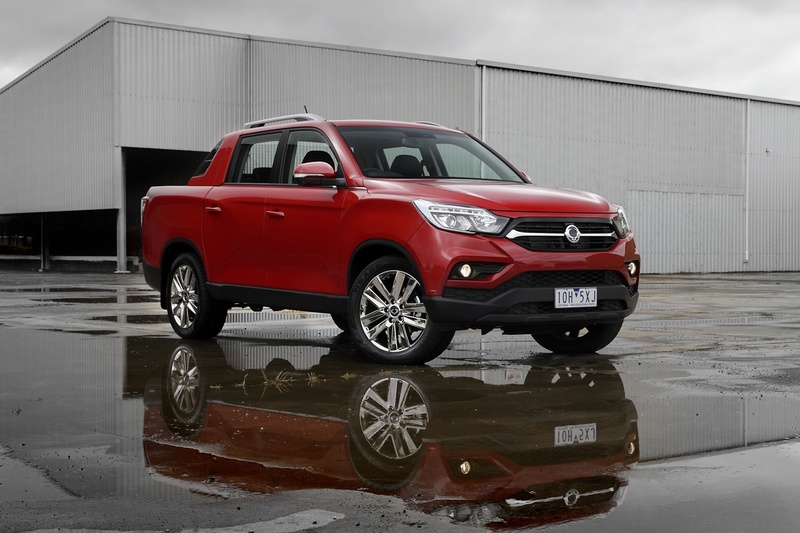 Previous SsangYong Utes have been a mixed bag. We have previously reviewed the Actyon Sports Ute but this new Musso is a totally different vehicle altogether. First launched in the UK in July 2018 in there was a question whether we would see it here in Australia. Well I just attended the launch in the beautiful region around Marysville Victoria of the Musso and a few other SsangYong vehicles. The Musso comes in three variants, two transmissions and one engine. We are mainly reviewing the Ultimate version here. SsangYong has been noted for a few things over the years, one is atrocious styling of some of its vehicles. However the new Musso isn’t too bad. Sharing the same underpinnings with the Rexton, the Musso is slightly shorter than what we are used to here in Australia. It looks like someone chopped about half a metre off the back. This is more apparent in the Ultimate, with its sports bar in the tray that makes the proportions look like a long body and short tub. It isn’t that short though, and the ELX has a more open more balanced look. It definitely looks like a SsangYong, but has a slightly rugged style, with a tapered bonnet, stylish grill and square lines through the sides. It’s a style that seems to neither stand out for good or bad. It looks ok.
At over 5 meters (5,095mm), the new Musso gives one of the largest cabin interiors in its class., thanks to a long wheelbase. The load bed dimensions of 1300x1570x570mm means the Musso can easily swallow a Euro pallet. Inside the Musso is reasonably comfortable. On test I only drove the top spec Ultimate, so I can’t comment about the ELX or EX, however I drove the ELX Rexton and that was pretty good as well. The electronically adjustable leather driver’s seat was actually quite comfortable. It didn’t have additional lumbar adjustment, but provided reasonable support. The steering wheel itself is a styled leather clad thick rimmed design with controls for the audio, cruise control and the many faceted MFD between the dials in the instrument panel. It feels like it is from a vehicle that is much more expensive. All round visibility is good, with the usual caveat for a thick ‘A’ pillar. The whole centre console and stack is well laid out and surprisingly stylish. Rear seats are comfortable and given the design with long wheelbase and short tray there is reasonable leg room. In fact it is better back there in the Musso than the Amarok. Visibility from the back seats also allows the kids to see what is happening outside rather than have their heads buried in some electronic device. A reversing camera is standard on the ELX and Ultimate. I’m sorry but note to ALL MANUFACTURERS. A reversing camera should never be omitted or an option. Musso is powered by the e-XDi220 engine found in the Rexton, delivering maximum power of 133 kW @ 4,000 rpm and a maximum torque of 400Nm @ 1,400 – 2,800 rpm, matched to 6-speed manual transmission or 6-speed Aisin automatic. Trying to use the auto transmission in manual mode means using an extremely poorly designed flick button on top of the transmission lever. Not that good really. It’s important to note that the Musso engine is Euro 6 compliant. 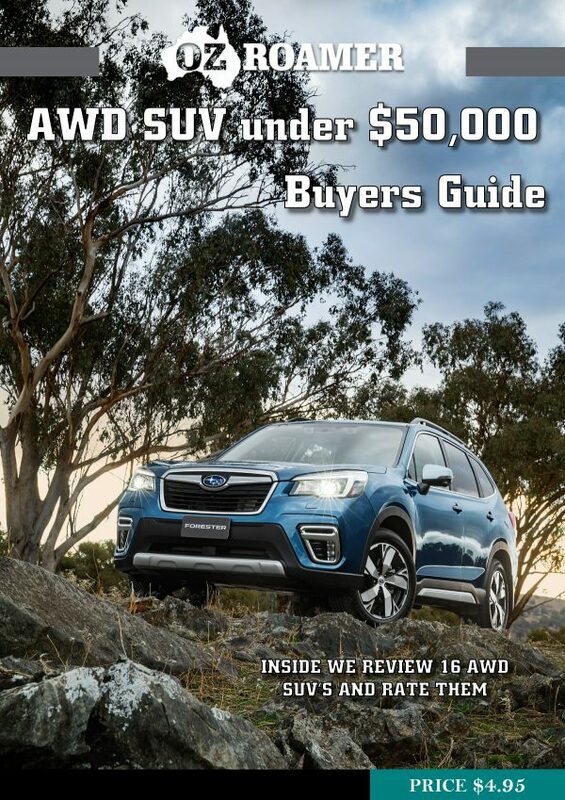 It runs a part time dual range 4WD system with shift on the fly between 2WD and 4WD High. There is an automatic locking centre differential and a limited-slip rear diff, unfortunately there is no rear diff lock as standard or an option. Power is delivered permanently to the rear wheels, with front wheel drive dialled in electronically as required, with high and low ratios available as conditions demand. There was much chat about an upcoming Australian tuned suspension and towing pack. This is great, but until that time the ride and handling on the Musso is about middle of the road for the Japanese Utes. Better than some, not as good as others. The Ultimate has a little more road harshness trough the seat of the pants and steering wheel, but it isn’t too intrusive. The long wheelbase with shorter overhangs along with multilink coil suspension adds to the comfort. Starting with the truck’s rigid body on frame construction and the fitment of eight body mounts and large rubber engine mounts, the Musso has also been carefully tuned by Pininfarina to ensure low levels noise, vibration and harshness (NVH). Off road, on a reasonably mild but interesting forest track the Musso took it all in its stride without fuss. I didn’t get to test the wheel articulation, but did test both high and low range. The torque delivery coming in at 1400 rpm certainly helps to keep the control on the right foot. Where is should be. While you may need to be careful on approach as the angle is a little shallow, the rampover angle is not bad as we never scraped our belly, despite some steep drainage mounds. There is the slightest lag on takeoff, but otherwise the delivery is linear and smooth. The 6 speed Asisin box is tried and tested in other Utes and works well. The steering is well weighted providing necessary feedback to the driver, meaning that it responds directly to driver input and allows direct control. Other drivers found it too light at speed, but I liked it. One very positive aspect is that the hill descent control is amongst the best in class and maintains speed without any hint of running away. Excellent feature! I didn’t get to test the towing ability, with the low powered engine and coil suspension. However note that another coil sprung Ute, the Nissan Navara took a few times to get the suspension right for towing. All models will have disc rear brakes, which puts the Musso ahead of 90% of the competition. Overall driving impression is again that it sits about middle of the road of the Japanese Utes. Unladen ground clearance is 215 mm. Approach angle is 22.8 degrees, rampover is 23 degrees and departure angle is 23.4 degrees. The features we are talking about here are from the December 2018 build dates only, so they will land here in the first qtr in 2019. This is when the vehicle will be tested for ANCAP safety rating. There is no rating at the moment. The SsangYong Musso is aimed at the recreational buyer that heads off road and wants to tow something. They may use it as a work truck as well. Given the slightly larger interior space it suits a family more than some other Utes. These buyers will also look for value over brand badging. The SsangYong Musso fits this criteria well. I’m sure you will read a few reviews where the journalist is indignant about the missing features and will go on and on about why didn’t SsangYong wait until these are fixed before they launched. Well let’s put that into perspective. No vehicle is launched in perfect state. When a vehicle is launched, the manufacturer already has the update list running. That is why they have updates. SsangYong has just been a bit more transparent about that. No matter when you buy your vehicle chances are within a year there will be an update with more features and improvements. You just have to be happy with what the vehicle has when you buy it. If not wait until the perfect time, which is never.